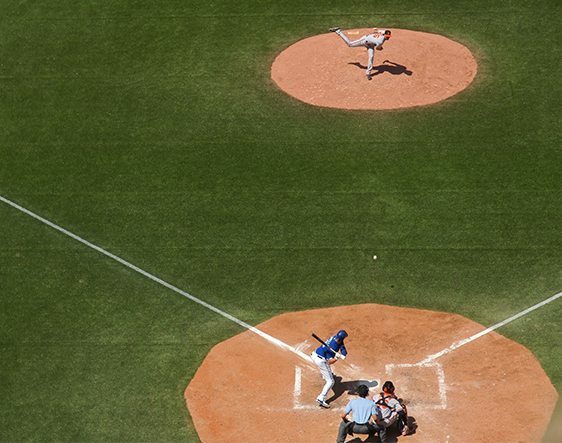 Baseball fans will know a curveball imparts forward spin, causing havoc for the batter. Likewise, aiming L&D at the multi-faceted needs of the multi-generational workforce means HR must keep a keen eye on the game, and pivotal to hitting the sweet spot will be the sector’s capacity to master technology innovation, particularly within the fields of automation and machine learning, changing the nature of work, as employees demand diverse work experiences. Article by Greg Pryor, Vice-president, Leadership & Organisation Effectiveness – Workday. Somewhere in the future dynamic of workplace change, there are answers that HR must get to grips with. Part of the quest is for the right technology, to appropriately reskill and right-skill workers. Millennials will, of course, continue to dominate the media agenda, particularly when it comes to conversations around the future of the workforce and, if you subscribe to popular belief, Millennials bring their own set of unique cultural and HR challenges to the workplace. It is, of course essential, that we look beyond some of the more negative stereotyping and accept that this new generation of digital natives arrive into the world of work with a fundamentally different outlook and set of expectations. They grew up hard-wired to digital, with instant, intuitive tools, which shaped their perception of the world. Which begs the question, how do the Baby Boomer and Gen X employees fit into this new world as it begins to transform to cater for the new generation? HR leaders have their work cut out for them in 2017 and beyond, trying to engage no fewer than five workforce generations. This is about more than just ticking off learning compliance programs. HR must get to grips with employee development, and organisations must find the right technology to appropriately reskill and right-skill workers. Technology innovation, particularly within the fields of automation and machine learning, is changing the nature of work and employees are now seeking more diverse work experiences. HR leaders will need to create a sustainable and collaborative culture of learning in order to meet both employee and organisational needs. Reskilling the workforce requires a shift in mindset and an understanding that HR leaders will need to embrace the curation of content and move away from being conduits for organisational learning. The following strategies can serve as a guideline for those looking to reimagine their learning programs. If we think about how employees view content on their own personal devices, such as Netflix or Facebook, it’s increasingly important than ever to deliver content in a way that’s personalised. For example, offering recommendations on content based on interests or new job roles makes sure that content is relevant – which has long been the missing piece in workplace learning. HR systems will need to be smarter, more intuitive, and more connected, in order to filter, target, and deliver content that reflects each individual employee’s specific needs and interests, and enables them to receive training and educational content that will help them grow. The result of tailored, relevant learning is greater engagement; employees will keep going back due to interest in expanding their skillsets, competencies, and capabilities rather than wait for the next compliance training to be assigned. Although technology gives a huge assist, it is still HR, ultimately, that sets up the rules and business processes for learning, training, and development content. In other words, human judgement – and good decisions based on solid data – are still a vital part of the curation process. It’s just that now, the HR team leading L&D is able to step back and think about learning more strategically. This turns learning from a cost center to a business enabler. Just as earning power is intrinsically linked to the level of academic study completed, the same can be said about attitudes to work. What we call “chameleon employees” who are always ready to learn and open to meeting new challenges head on are going to see their stock rise in a world that is increasingly dynamic. In fact, according to analyst and expert Josh Bersin, “The learning curve is the new earning curve.” Bersin, through Deloitte analysis, shows that, on a business level, our employment brand and ability to attract and engage people is now directly related to learning. Organisations will need to harness the power of innovative systems that offer a variety of learning experiences to engage and retain employees. As workers expand their knowledge base, managers can more effectively step in to suggest new roles that would keep people engaged, the best managers have always been learning content curators, but now this is an official job duty, and other content that would help reskill and right-skill workers as needed to help them better manage daily work. Learning should flow freely throughout the enterprise, and employees should be able to create and share their own knowledge. Above all, learning should be personal and intrinsically tied to each individual person’s unique goals, aspirations, and career path. Here’s an example of how a modern learning experience can make a difference: There might be an everyday procedure that’s unique to your company and critical to your business. While writing a quick-help guide could take someone a few hours, it may only take a few minutes for a knowledgeable employee to record a “how-to” on her or his smartphone and create a walk-through video for a colleague. Or, an executive could do the walk-through video and securely share this knowledge with employees across the company. This is just one example of how an organisation could leverage a dynamic learning system to take information from a variety of sources and make it easy to view and share across the workforce. As companies face the skills shortage, the importance of capturing and storing knowledge from employees within the organisation and delivering that back to the rest of the business via learning technology becomes increasingly important. This is most easily achieved via user-generated content, such as the employee-generated video mentioned earlier; On the flip side, people want to be recognised for sharing their knowledge to colleagues as way to build reputational capital. Longstanding employees and skilled workers are experts in their field and should be seen as such, and promoting user-generated content is an innovative way to increase a person’s connection to the organisation, which ultimately helps fulfill their personal growth path. This establishes a stronger employee-employer partnership that enables workers to feel more influential, as opposed to managed, with regard to their career paths. Encouraging employees to create user-generated content not only promotes greater interaction with the learning system, but ensures that your organisation’s experts are contributing back to the learning ecosystem for the benefit of the entire workforce. Having the organisation’s collective wisdom in one repository not only streamlines distribution of knowledge among the workforce but eliminates the need to duplicate efforts as employees move into new roles. Much like social media sites or YouTube, users themselves, whether they create content or not, become an integral part of the curation process. Highly rated learning content can move to the top of people’s recommended watch list, and HR leaders can examine trends from across departments and geographies to better understand what’s resonating and can glean best practices in content creation. Some employee segments might prefer blogs to videos, whereas others prefer videos, but only if the videos are short. Gathering this kind of data means that L&D administrators can distribute what works. For example, when it is time to make sure compliance content is consumed, L&D administrators can specify that five two-minute videos are pushed out over the work week instead of sharing one ten-minute video that will rarely be watched in its entirety. As technology continues to evolve, organisational imperatives change and workforce needs fluctuate, so Learning and Development must also innovate. Finding and retaining talent is about meeting the needs of different generations, and understanding that learning is a two-way street. It is about engaging the workforce to invest, not only in their own development, but in the learning and development of employees across the company. Gone is the one-way ‘push’ approach to learning where HR leaders were conduits, driving content to passive employees in a box-ticking approach. Instead HR becomes the conductor of the orchestra, inspiring every learner in a curation process which inspires and engages employees through fantastic content.